This may end up in an audit of the use of international assistance to fight corruption, the politician suggested. US politicians are indignant about the alleged interference of Ukrainian government officials in the work of anticorruption bodies and require investigation and punishment of the perpetrators, the leader of the Justice movement, Valentyn Nalyvaychenko, said in Washington on Wednesday, 15 November. "Our international partners are concerned about the pressure the authorities have been putting on anticorruption bodies in Ukraine," he said. According to Nalyvaychenko, the fight against corruption in Ukraine should be the goal, not means. "One cannot rule out that a recent series of scandals at the National Agency for Preventing Corruption could end in an audit of the use of international aid to fight corruption and tough talk with the Ukrainian leadership," Nalyvaychenko said. 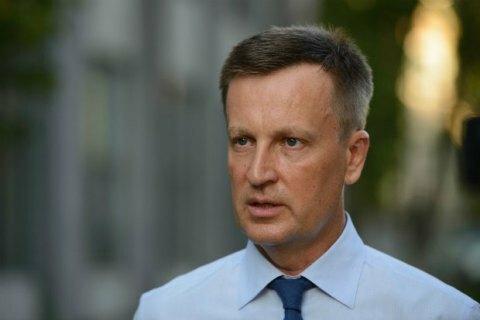 "Otherwise, international assistance will be in question next year, or the Ukrainian government will face an ultimatum not to interfere in the work of anticorruption bodies and punish those responsible," he said.